Boil the beans in salt water for 5 minutes. Heat 1 tbsp. of oil in a pan and fry the garlic. Add in ham and cook for 2 minutes then stir in beans. Season tuna steaks with black pepper. Heat 1 tbsp. 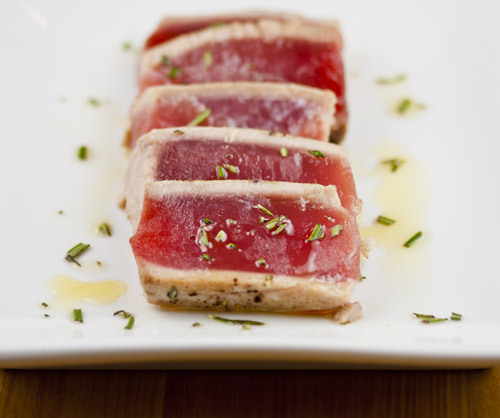 of olive oil and cook tuna steaks to your liking. Serve with beans and ham.